Mucus in urine is actually a normal thing. We all will probably have a little bit of mucus in our urine from time to time and that’s perfectly normal. It’s when you start to have an abundance of mucus that you should start to pay attention. A large amount of mucus within the urinary tract can be a sign of another underlying medical issue that should be taken a look at. But what can cause this excessive mucus thread? And are there natural ways to deal with mucus in urine? We’ve done some research and we’ve gathered some information that may help you out if you feel that you may have too much mucus in your urine. What Causes Mucus in Urine? Mucus in urine is a natural thing. It may come out in the form of crystals, threads,or other secretions. Our bodies make mucus and sometimes that mucus gets in our pee. It’s when there is too much mucus in your pee that you should start to consider that you may have a health issue causing it. The major function of mucus is to protect your body against viruses, bacteria, and fungi. If your body is making a ton of mucus, something could be wrong. In the case of mucus present in urine, there could be several reasons why it is occurring. Let’s take a look. 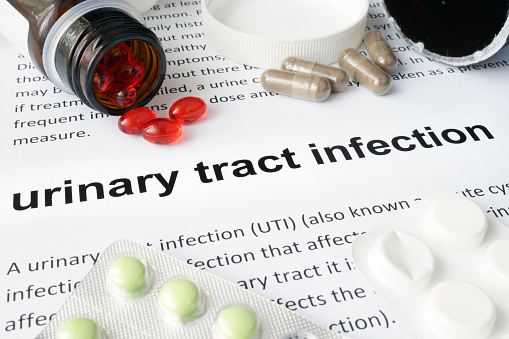 Excessive mucus in urine may be a signal that you have a urinary tract infection. These infections are usually caused by bacteria and can do damage to various organs. The mucus could be due to damage that was done to the epithelium of the mucus membrane by the UTI, which causes the mucus to become noticeable in your urine. 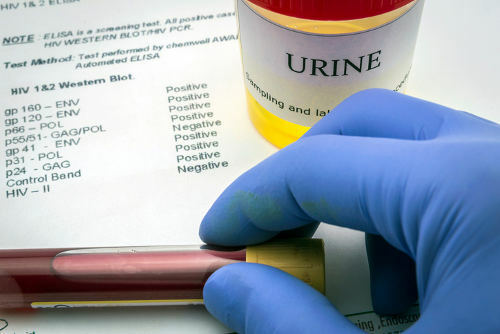 Another possible cause of mucus in the urine is a sexually transmitted disease. The usual suspects in this case would be chlamydia and gonorrhea—both of which can cause more mucus production. Chlamydia will cause the mucus to take a whitish color. Gonorrhea, on the other hand, will make the mucus yellow. An abundance of mucus may be due to kidney stones. Kidney stones can be caused by a number of different reasons ranging from genetics to not keep up your fluids. One of the more serious causes of a large amount of mucus in urine is ulcerative colitis. Ulcerative colitis causes erosions and ulcers on the colon. The body may produce mucus as an attempt to try and deal with this issue. Irritable bowel syndrome can cause mucus to flow into your urine. IBS can boil down to your bowels not working in a regular manner for six months or more. Things like bowel movement urgency are signs of IBS. Unfortunately, another serious cause of mucus in the urine stream is bladder cancer. Bladder cancer isn’t incredibly common, but signs of bladder cancer include painful urination and excessive mucus in the urine stream. If you have noticeable mucus in your urine, it is a very good idea to see a doctor as soon as possible. As you can see from the list above, having a heavy presence of mucus in urine has the potential to be deadly if not caught in a timely manner. In the meantime, there are a number of ways you can treat excess mucus in the urine tract at home. Assuming the reasons for excessive mucus in your urine aren’t serious, or a doctor’s appointment isn’t immediately in your future, there may be some natural ways that you can help remedy the situation. These remedies will at least make it a little better until a doctor can be consulted. It may be your diet that is causing the underlying problems of extra mucus in urine. Irritable bowel syndrome, for example, can be eased with a diet change. Try foods that don’t upset your bowels, cutting down on greasy and fried foods. If this causes the IBS to be better, you will more than likely notice the mucus disappear. The consumption of more fluids can help flush the excess mucus out of your system. It can also help a little if you have a urinary tract infection, or have kidney stones that are causing the mucus issue. It may be common sense, but it stands to be repeated—one of the best ways to prevent yourself from getting an illness of any sort is having decent personal hygiene. Good hygiene is the first step to preventing a number of sexually transmitted diseases that cause urinary tract infections. If you don’t get the disease or infection in the first place, you won’t get the mucus in your pee. Taking cranberry juice, yogurt, and honey if you have mucus in your urine is also a good idea. Cranberry juice has long been recommended to help clean out urinary tract infections. Yogurt and honey both possess natural probiotics that can help the bacteria in your stomach fight things that may be causing irritable bowel syndrome. Mucus in the Urine Is Something to Pay Attention To! While a little bit of mucus in your urine shouldn’t be a call for alarm, an excessive amount of mucus should be paid attention to. While the milder mucus in urine, like a urinary tract infection, may not be as worrisome as something like bladder cancer, it can still cause a lot of damage to your system if left unchecked. If you suspect that any of these things are the cause of the mucus in your urine, make an appointment with your doctor as soon as possible. In the meantime, try the natural solutions above—hopefully, they can help.